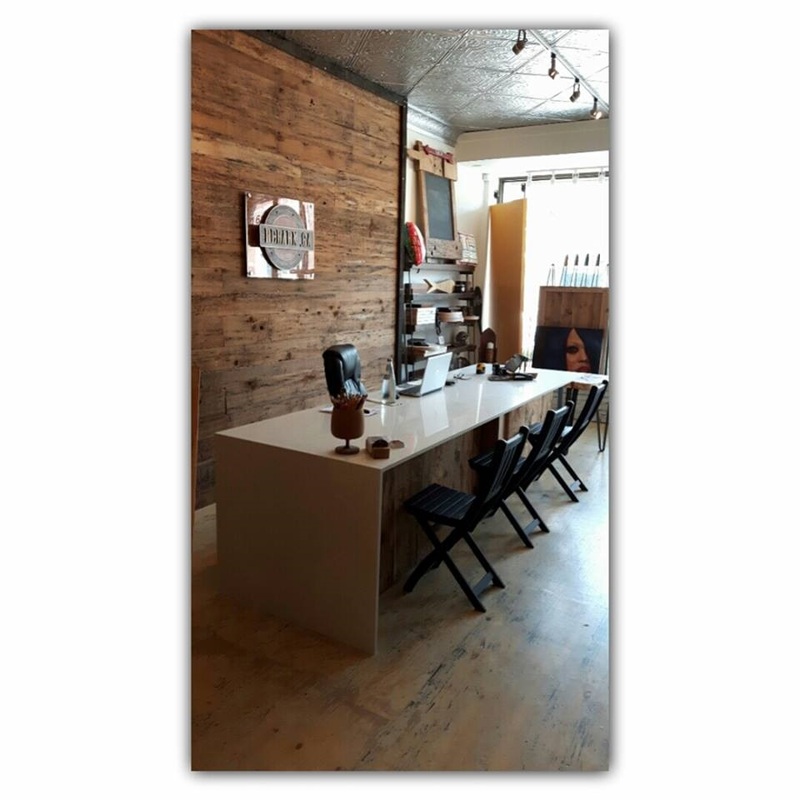 RECLAIMED BARN BOARD RECEPTION DESK! This reception desk is made of reclaimed roofing board. It sports a quartz waterfall top that adds a contemporary flavor to the overall look of the piece. This design could easily serve as a kitchen island with a simple change in height. All custom, all the time at Rebarn!